Superbowl is tomorrow! 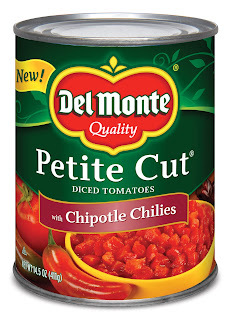 I'm not really a fan of either team that's playing, but I am a fan of all of the delicious foods that Superbowl brings:) I'm making a pot of our favorite chili (recipe here), and I'll be adding Del Monte's new diced tomatoes! Del Monte has two new varieties of diced tomatoes available: diced tomatoes with green chiles & diced tomatoes with chipotle chiles. Diced tomatoes are one of the main staples in my pantry; I throw them into just about every soup and chili I make, as well as dips, Mexican dishes, and more. Del Monte canned vegetables contain the same essential nutrients as the fresh varieties, so they are my go-to brand when stocking up. Leave a comment on this post sharing what recipe you'd like to try using diced tomatoes, and you will be entered to win this gift pack. One winner will be chosen randomly and announced February 15. U.S. mailing addresses only, please. Updated: the winner is #10 Wendy Rozema. Thanks for playing! Sweepstakes: To help inspire creativity in the kitchen, Del Monte has launched the "Del Monte Southwestern Tomato Kick-Off Sweepstakes" on Pinterest. Check out the Tomato Kick-Off Sweeps board for recipes and entertaining tips to get ready for the Superbowl! To enter the sweepstakes, follow Del Monte on Pinterest, create a board named "Del Monte Southwestern Tomato Kick Off" to pin recipes and entertaining ideas, and register your board here. The grand prize is an entertainment package worth approximately $5000! Visit here to get started, and you can check out my Del Monte Southwestern Tomato Kick Off board here. Disclosure: The Del Monte products, information and two gift packs have been provided by Del Monte. 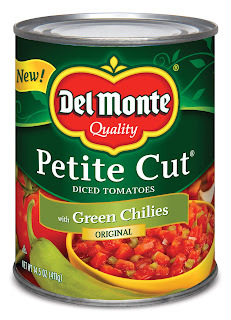 The opinions expressed in this post are my own, and Del Monte is a brand I love and use all of the time. I'd like to use them for quinoa chili! Hope I win!! I'd make the Fiesta Chili Bake. I'd love to try making their tortilla soup recipe! I also have a tortellini soup recipe I would like to try. I like making spaghetti. Thanks! I love making chili with a beef and venison combo. Diced tomatoes would be a great addition! I would make chili, yum! i would use the diced tomatoes to make chili! 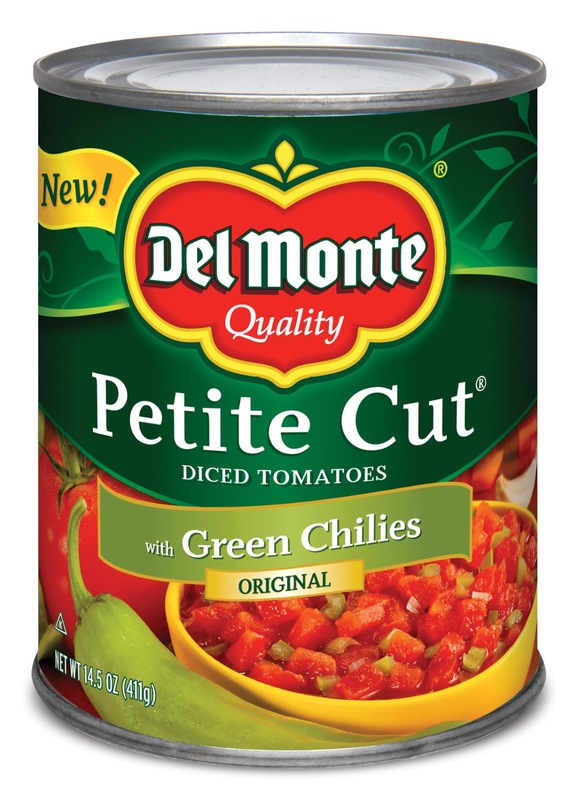 I would go for the Del Monte Petite Cut Diced Tomatoes with Green Chilies (I didn't even know that they packaged this) and make chili with it. I would love to try the 10 minute chili recipe on their site. I would use a can to make some yummy taco soup! I'd make some kind of chili. I would have to try them in spicy chili!